Jim Melchert was born in 1930 in Ohio. After his undergraduate studies in art history at Princeton he taught English in Japan for four years in exchange for the rich experience of living there. Returning to the States he earned degrees in painting at the University of Chicago and afterwards ceramics under Peter Voulkos at the University of California, Berkeley. Finding the Bay Area to be receptive to artists in the way that watering holes are to migratory birds, he settled in Oakland and thrived on the interaction among his colleagues and young artists at UC-Berkeley where he taught. In 1977 the National Endowment for the Arts brought him to Washington, DC to direct its Visual Arts Program for four years. From 1984 to 1988 he joined the American Academy in Rome as Director. One can see from the diversity of Melchert’s art work that he is a maverick who disregards many of the canons that define disciplines. His travels throughout the Mediterranean in the 1980s introduced him to ceramic tile as a medium ripe for further investigation. 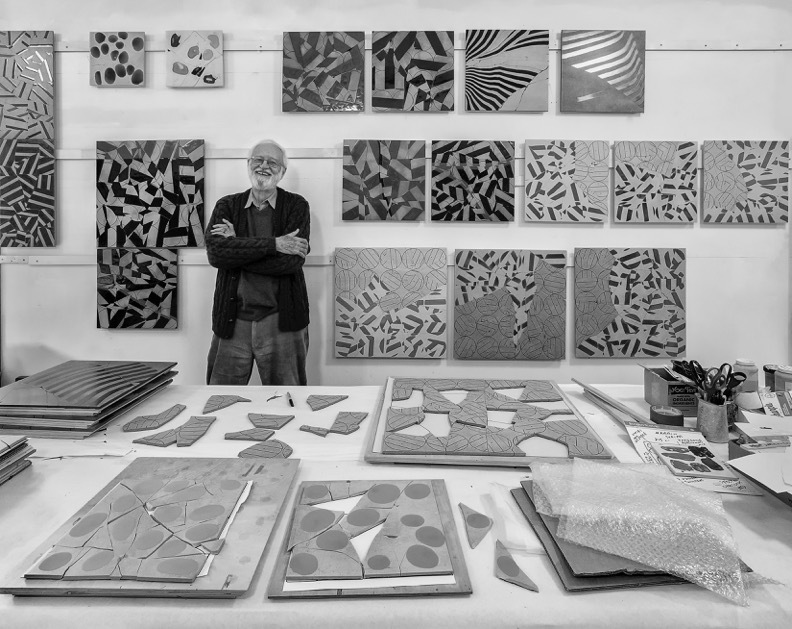 Among the places where his work has been exhibited are the Whitney Museum and the Museum of Art and Design in New York; the Museums of Contemporary Art in Chicago, Houston, and Los Angeles; the Museum of Fine Arts in Houston; at the Museums of Modern Art in San Francisco, Tokyo, and Kyoto; The Los Angeles County Museum of Art; the Victoria and Albert Museum in London and Documenta 5 in Kassel, Germany. Copyright 2018 | Jim Melchert | All Rights Reserved.